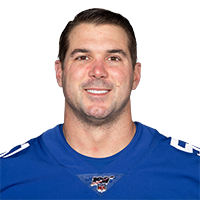 Published: Aug. 9, 2018 at 09:15 p.m.
New York Giants defensive end Kerry Wynn forces the fumble on a punt and the Giants recover. Published: Oct. 21, 2013 at 11:01 p.m.
Minnesota Vikings cornerback Marcus Sherels fumbles the ball off of a punt return and it is recovered by New York Giants linebacker Zak DeOssie at the Vikings' 3-yard line. Published: Oct. 29, 2012 at 03:23 a.m.
(1:08) (Punt formation) S.Weatherford punts 53 yards to DAL 27, Center-Z.DeOssie. D.Bryant MUFFS catch, and recovers at DAL 21. D.Bryant to DAL 20 for -1 yards (Z.DeOssie). FUMBLES (Z.DeOssie), RECOVERED by NYG-M.Coe at DAL 15. Published: Oct. 28, 2012 at 05:16 p.m. The Dallas Cowboys' first quarter woes continue as Dez Bryant fumbles a punt return for the team's third turnover of the quarter.